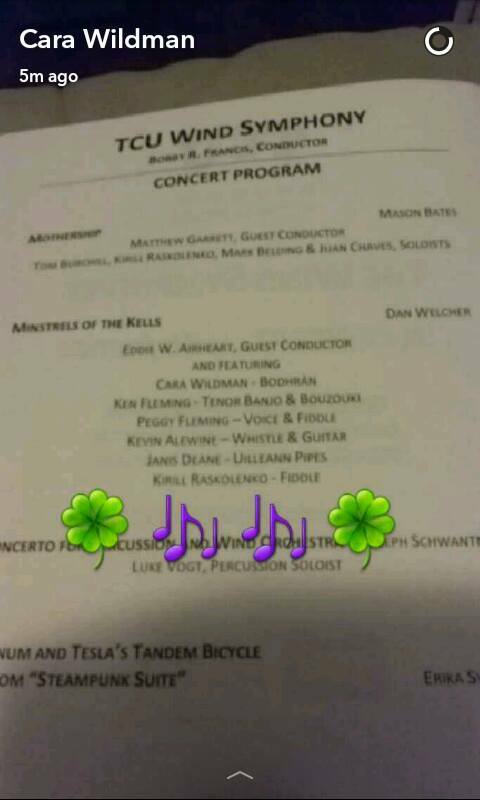 It was a great thrill to play Minstrels of the Kells by Dan Welcher with the TCU Wind Symphony! So proud to get to play some Irish music with friends at my old college. A few tunes at the house after the gig! 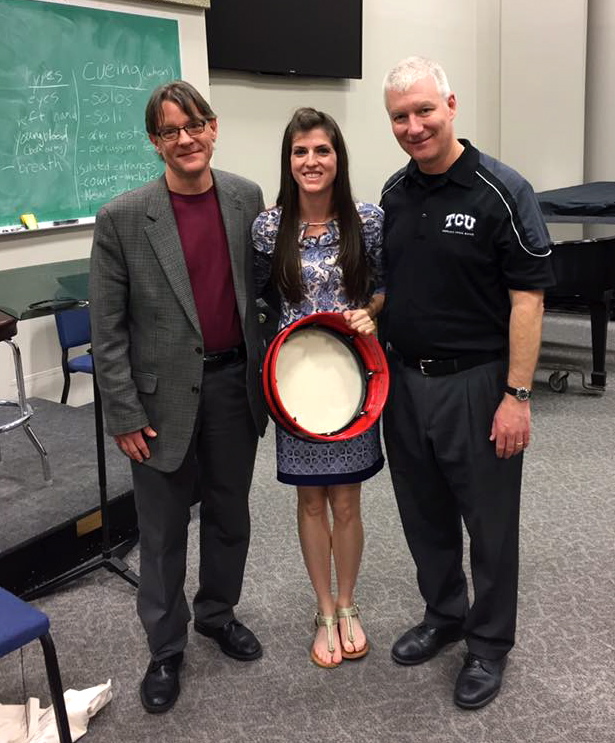 What a thrill to talk about Irish music at my old college, TCU! I'm always encouraged to see folk music being played and discussed in an academic setting, and it was great to introduce the tradition to a future generation of traddies! Me with former teachers Joey Carter and Brian West! 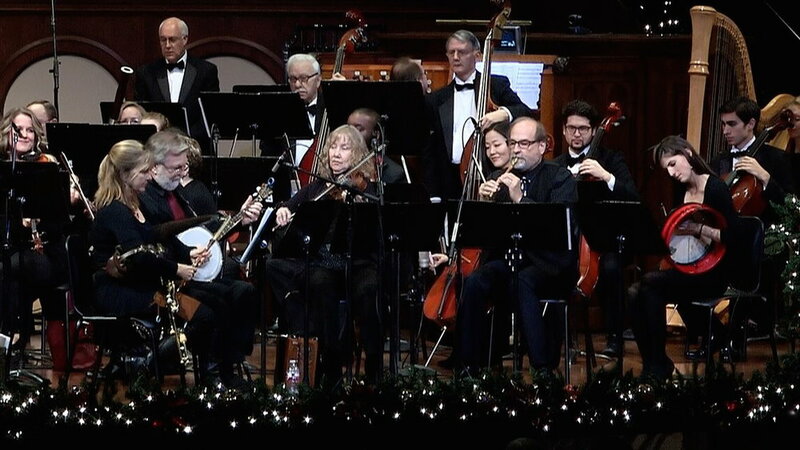 This past December 2016, Phillip Wildman (aka Daddy Wildman) and I had the great honor of opening for the classic Western Swing band, Riders in the Sky! I listened to them and watched their TV show growing up, so it was a HUGE thrill to meet them and play on the same stage as them! What an experience!! I had the great pleasure to play in the percussion section of the Irish Symphonic Wind Orchestra this past September 2016. It was great to meet some more Irish musicians, and play the music of world renowned composer Johan de Meij, who also conducted the concert. Check them out next time you're in Ireland--they are the most prestigious wind band on the Emerald Isle! 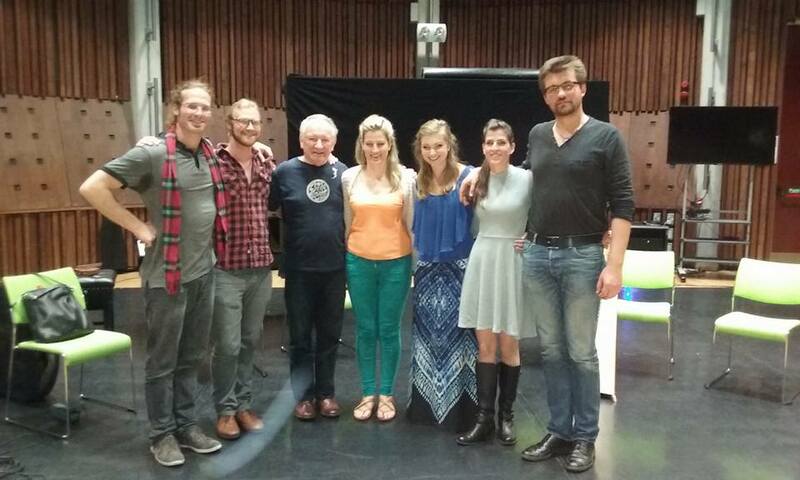 We had such an amazing time performing as "Ensemble: The Availables" with Donal Lunny! We were fortunate to work with Donal throughout our winter term in the choice of tunes and arrangements, and then perform with him at the BLAS Summer School at the University of Limerick in June 2016. Definitely a highlight of my musical career!!! 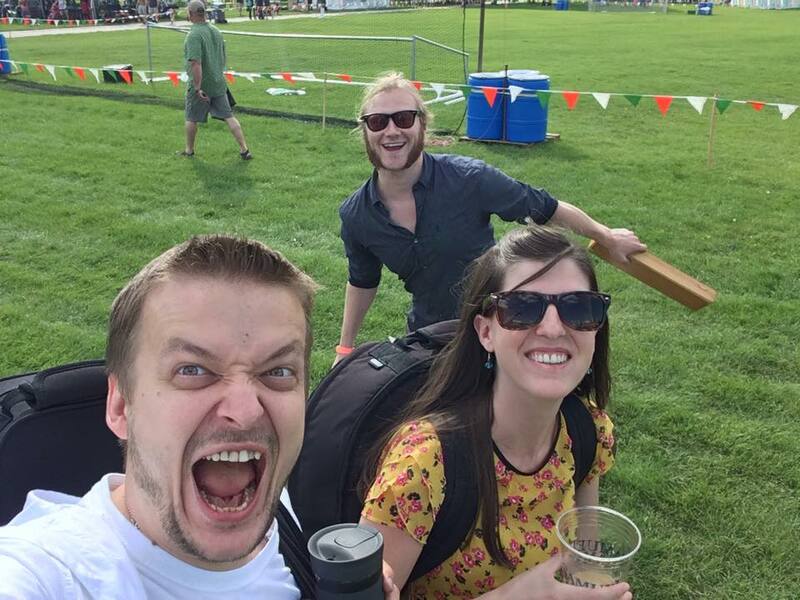 Hope to get tunes with this motley crew again sooner rather than later!! 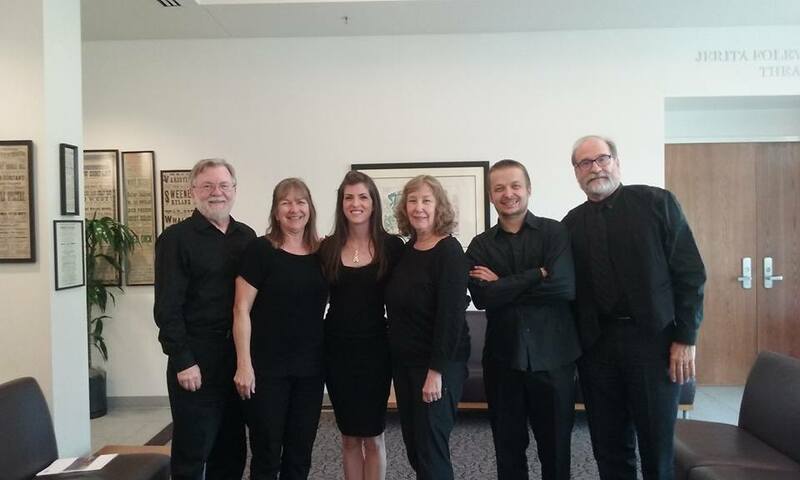 L to R: Quentin Vestur (harp), Ryan Behnke (uilleann pipes), Donal Lunny (bouzouki), Eithne Walsh (harp), Kara Matthias (voice), Cara Wildman (bodhran/piano), Evgeny Pichugin (concertina). Conal O'Kane (guitar) and Caroline Keane (concertina) not pictured.